Every now and again I get a surprise in my mail! It is usually something sewing related for me to review or just try. I could not wait to share this one on Something New Sunday! 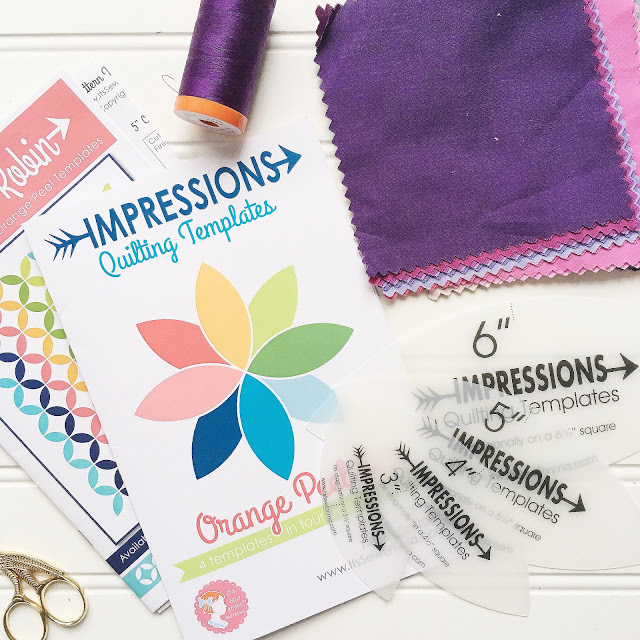 Last week I received the new It's Sew Emma Orange Peel Templates! You can find them here. There are four sizes in the pack. The 3 inch and 4 inch templates are charm pack friendly( always good to know). The templates also have a placement guide so if you are unsure, there is a handy tool right there to help! I had never made an Orange Peel Block previously and now I am wondering what stopped me! 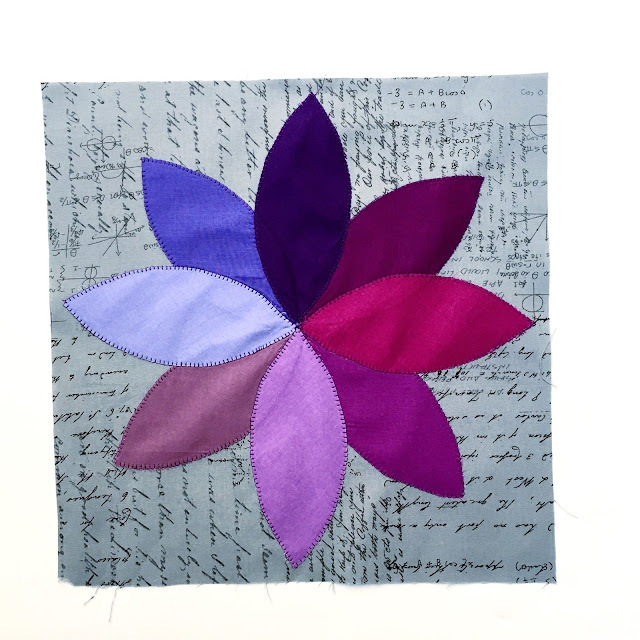 This purple one took no time at all to appliqué using Aurifil 50wt on my Bernina! There is a complete rainbow of Orange Peels in my future! 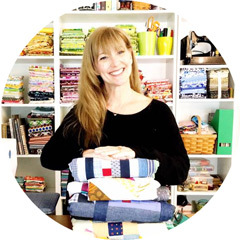 If you need patterns for the block, It's Sew Emma has a few excellent choices that are well written have everything you need to create the perfect quilt in two sizes, either crib or lap. The instructions also come complete with the Moda Bella Solid or Kona Cotton Solids used for the quilt on the cover and also the coordinating Aurifil thread, this takes all of the guess work out of making the perfect quilt! It was pretty cool to be able to check another block off of my bucket list of blocks! Did you get to try sewing something new this week? ES, I did not use interfacing, just pinned and stitched. I will probably use it in the next blocks. I sometimes do and sometimes do not.